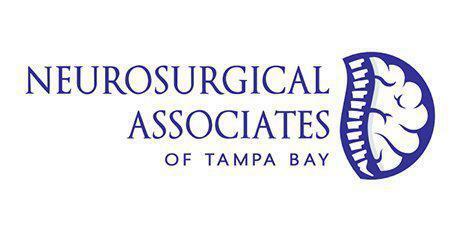 The Practitioners of NeuroSurgical Associates of Tampa Bay are dedicated to providing the highest quality of service and respect to our patients. We utilize the latest breakthroughs and best practices in neuroscience to provide our patients with the highest quality of care. We will keep in close contact with your referring providers to ensure excellence in patient care. Our highly trained physicians, practitioners and staff will work together to provide a caring, safe environment for our patients. Adhering to these high standards is what makes our group one of the premier Neurosurgical practices in the region. Our friendly knowledgeable staff is available to serve you. If you need additional assistance please do not hesitate to contact the appropriate department using the information provided below. Click here for more info on Mobi-C® Cervical Disc Replacement! Dr. Kirk Jobe discusses the restoration of a patient's ability to walk again using lumbar fusion in this feature on Healthy Living. Click here for more information on our support groups for different types of injuries that patients needing neurosurgery might have. To save you time, our office has created a unique approach to booking appointments. The following steps will allow us to give you the care you deserve with the least amount of hassle! We look forward to offering you the best possible care. We accept most major forms of insurance. If you have any insurance related questions, please contact our office. "Dr. Jobe makes you feel like you made the right choice in seeing him...Dr. Jobe is by far the best surgeon in my opinion." "I would strongly recommend Dr. Jobe and his wonderful staff to anyone needing back surgery...He is a great doctor, who is kind and caring. That is...hard...to find..."
"[Dr. Jobe] was caring, professional, talked to me in terms I could understand and in the end stopped my pain." "[Dr. Jobe is an] excellent neurosurgeon...acted promptly once I was diagnosed...Provided excellent referrals..."
"Dr. Stengel spent a good amount of time with me to discuss options...All that fear of surgery for no reason. I would highly recommend Dr. Stengel." "Dr Stengel was on duty at the hospital. I am very happy with him as he explained everything that was going on with my problem so I understood." "I am very pleased with the results of my surgery and would highly recommend Dr. Stengel for neurosurgical needs." "I would strongly recommend Dr. Jobe and his wonderful staff to anyone needing back surgery. " "This office is very professional and seems to really have it together. Dr. Stengel spent a good amount of time with me to discuss options." "His staff is very professional and things are run very smoothly there. Dr. Jobe is by far the best surgeon in my opinion." "[Dr. Jobe] was caring, professional, talked to me in terms I could understand and in the end stopped my pain. His office staff is wonderful."